Jordon Speith’s win at the Tour Championship sealed the deal… Player of the year, Fed Ex Champion, winner of more than twenty million dollars on tour in one season. And it wouldn’t have happened if he hadn’t corrected one little (big) thing with his putting: His aim. “I felt my alignment with my putter was a bit off, and it was,” Speith told the media. 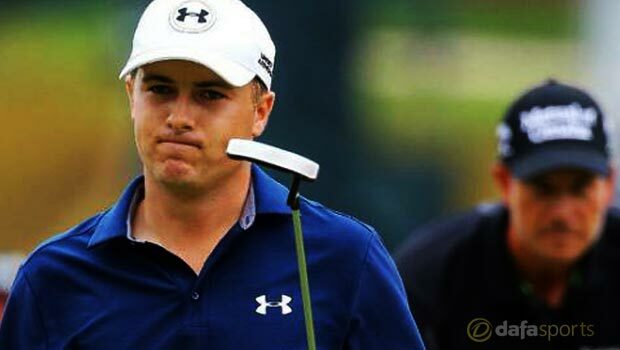 So, even the best player in the game has trouble aiming his putter correctly, and setting up on the intended line. At least Jordon could admit he was messed up. Most of our clients here in The Villages seem to suffer from a serious case of denial. From what we hear, improper aim is never the culprit. It’s always a bad read, or a poor stroke. Don’t be so hard on yourself. We have the data from thousands of Florida golfers that proves, without a doubt, that the problem with your putting starts before you ever take the putter back. The most common problem is an optical one. What chance to you really have of making a putt if you think you’re aiming in one place, when you’re really aimed somewhere else entirely? Doesn’t matter if it’s a three-footer or a 15 footer, your odds of success are slim if your vision is fooling you. Attend one of our “See Putt Sink” putting workshops and we’ll prove it to you. It’s something you just have to see for yourself, so don’t forget to bring your putter with you. Sometimes it’s the club itself that’s throwing you off. The shape of the clubhead, the hosel design, the loft, the grip can all have a detrimental effect on your aim. Get your club dialed in, and your aim straightened out, and you’ll sink way more 5-footers and eliminate 90% of your three-putts. But you can share this much… Jordon Speith took his game to a whole new level this year, and so can you. And it all starts with the putter.